Oysters, trees, scenic Monocacy River, bay improvement, cherry trees under pressure, and more in the Potomac News Reservoir. Coal ash cleanup, drinking water contamination and chlorination, oysters, new river technology, and more in the Potomac News Reservoir. Trout, blue catfish, drones, cleanups, new monitoring boat, and more in the Potomac News Reservoir. Michael A. Nardolilli has been appointed the Executive Director for the Interstate Commission on the Potomac River Basin. Nardolilli will take the reigns beginning April 1, 2019. He replaces Carlton Haywood, who is retiring after joining ICPRB in 1982 and serving as Executive Director since 2012. Nardolilli is currently the Chairman of the Northern Virginia Regional Park Authority, which oversees 32 parks on 12,000 acres and has a $23 million annual budget. Previously, Nardolilli has served as an executive for several nonprofits, including the Montgomery County (Md.) Parks Foundation, the C&O Canal Trust, the Northern Virginia Conservation Trust, and the Arlington (Va.) Outdoor Lab. At each of these positions, he successfully raised operating revenue and and helped ensure the mission and continuing stability of these organizations. Nardolilli also has served as a volunteer with a variety of organizations, including as chairman of the East Falls Church Task Force and the Arlington County Transportation Commission. He has been named a Washington Life Green City Leader and a Hometown Hero by WETA-TV. Earlier in his career, Nardolilli was an attorney in private practice. Nardolilli’s familiarity with conservation issues and experience with administration and fundraising with small agencies are important skills to lead ICPRB into the future,” said ICPRB Chairman and Maryland Commissioner Virginia Kearney. 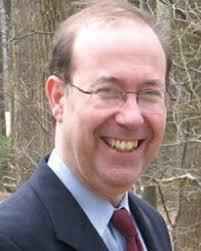 “The Commission is extremely pleased to welcome Mr. Nardolilli as the new Executive Director. His selection is the result of a rigorous interview process conducted by ICPRB Commission representatives from each member jurisdiction. Mr. Nardolilli brings to the Commission his leadership skills and experiences serving on and with boards, authorities, and foundations. I believe these skills and experiences will serve both ICPRB and the basin well in the years to come,” she said. “I am excited by the opportunity to work with the excellent Commission staff and engaged Commissioners of the ICPRB,” Nardolilli said. “I look forward to applying my years of nonprofit experience to help the region be good stewards of the many resources of the Potomac River basin,” he said. The ICPRB is an interstate compact commission established by Congress in 1940. Its mission is to protect and enhance the waters and related resources of the Potomac River basin through science, regional cooperation, and education.